LEWCO Slat Conveyor with Indexing Fixtures - LEWCO Inc.
LEWCO recently supplied a customer with a slat conveyor with indexing fixtures. The customer needed a slow speed industrial conveyor for final checking of their parts utilizing an existing fixture. Their existing operation consisted moving the parts manually from station to station, creating unequal work balance and inconsistent tact times. 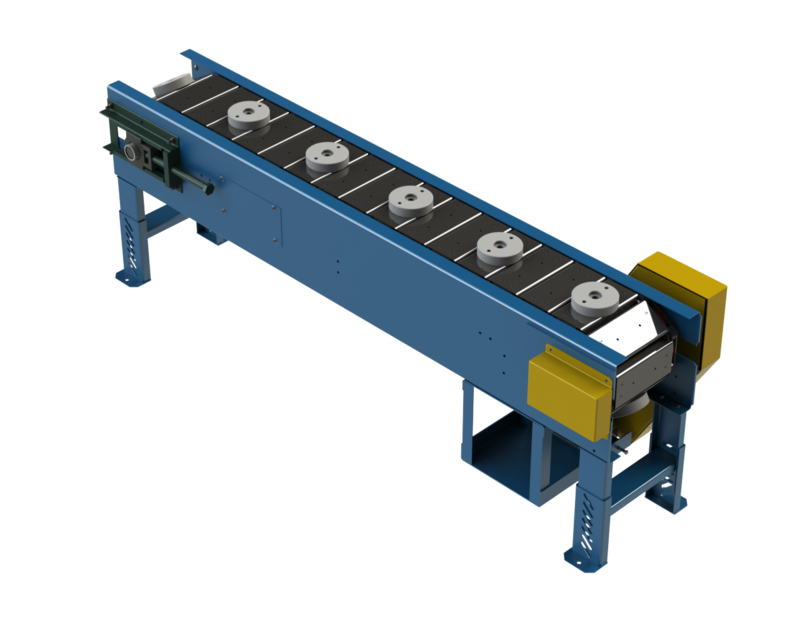 Speed was critical along with the ability for the customer to work on the part while on the conveyor. LEWCO Slat conveyor with slightly modified slats perfectly suited this application. The customer supplied the fixtures and LEWCO attached them to the SL6 slat conveyor. The safe design along with robust construction and ability to run at variable speed helped the customer to decide this was the right equipment. Do you have an application for robust industrial equipment where the customer will be working on the conveyor? Maybe LEWCO Slat conveyor can meet your needs too. LEWCO offers a quality product that is cost effective and built to the highest industry standards. Reduction in manual material handling, improved product flow, better ergonomics and elimination of shipping damage are just some of the benefits of this well-designed LEWCO conveyor system.